Unforgettable Unique Exotic Interactive Pets. 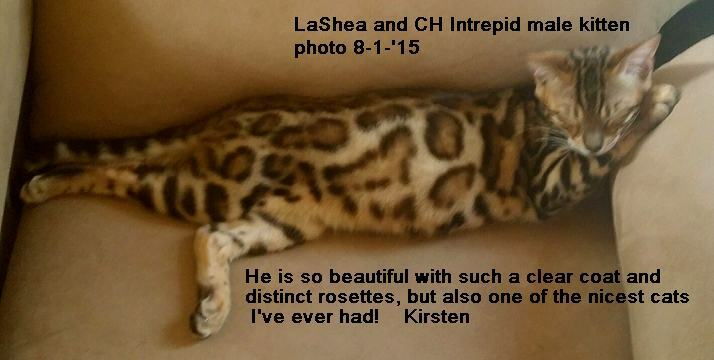 My Bengal cats have beautiful rosette patterns on short smooth hypoallergenic pelted fur. 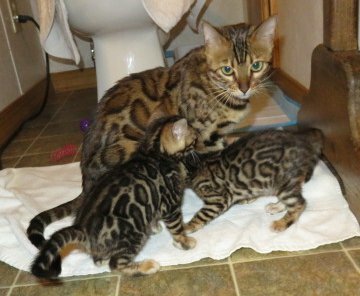 All my Bengal kittens are genetically healthy, genetically gentle, playful and well socialized. Offered for your companionship and entertainment. 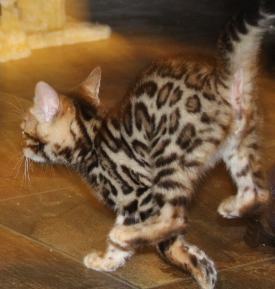 Our kitten prices start $1500 to $3500 depending on pattern and confirmation. 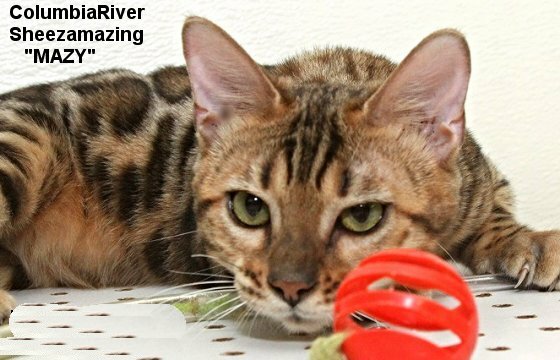 This price includes spay, microchip, first vaccination. Genetics for health and temperament guaranteed. 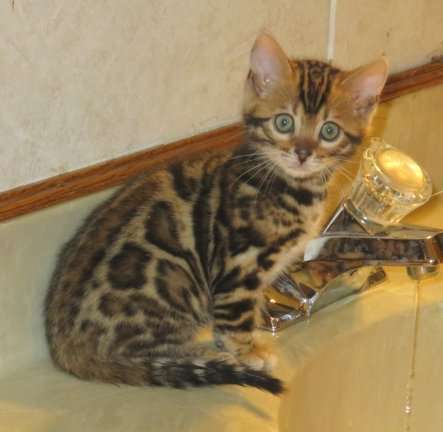 Susan can help you in choosing your purrr-fect Bengal kitten. This price and includes the spay, vaccination, micro chip and health guarantee. the chaotic splotchy pattern on these babies will blossom into vivid rosettes. The rosettes will get more red tones in the centers as the baby fuzz sheds off. 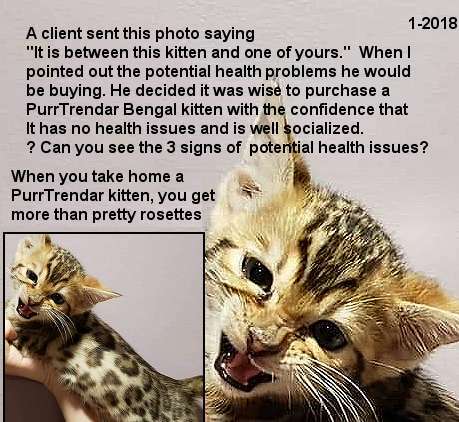 Contact Susan for help choosing your purrr-fect ktten. They are all doing well. threats as they start to explore the world outside their den. smooth all over 'white baby fuzz' it is not common. Called FROSTING. It hides the vivid contrast to come. when most of the baby hair is shed off. 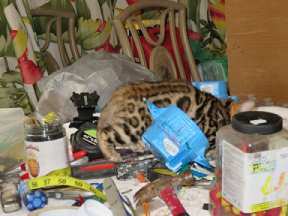 Bengals want to help with whatever you do! Want to save your furniture? ARE BEING MENTORED TO TAKE OVER TRENDAR BENGAL BREEDING PROGRAM. 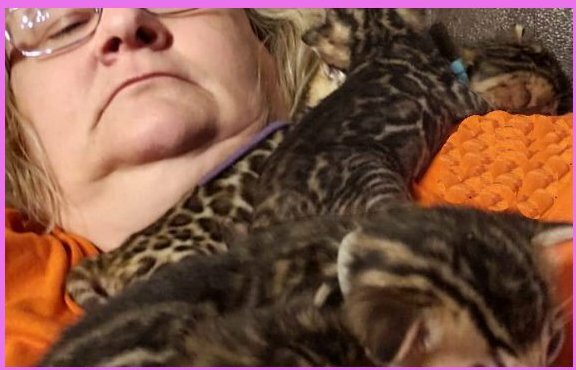 For over a year Holly has been searching for the perfect people to take care of her well known and much respected Bengal Cat breeding program. 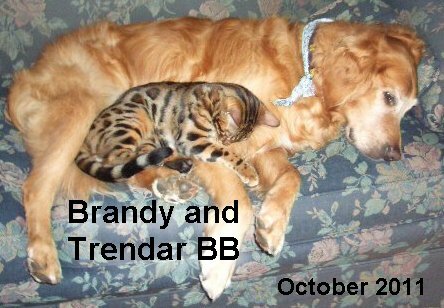 Bengal Purradise ... is being mentored with Holly's 30 years experience as Trendar Bengals. Located atop beautiful rolling hills in West Virginia USA. They have enjoyed animal husbandry with several types of animals from cattle to chickens to a rescued naked baby squirrel. Susan is praised highly by more than one clinic for her knowledge of and compassion with all the animals she has in her care. Scott is a stay at home farmer, wood worker and animal caregiver. All their children are grown but visit often to share the warmth of their close loving family. 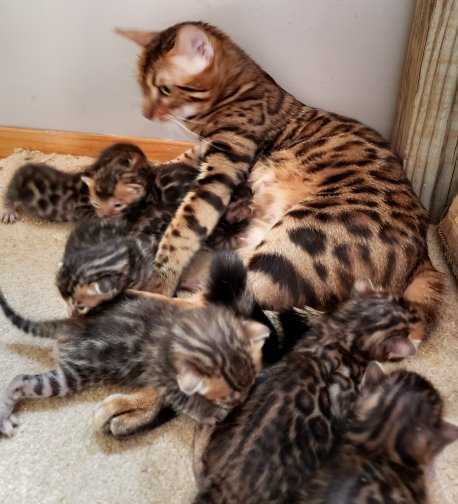 Both Scott and Susan are hoping to become successful at breeding top genetic quality, sweet beautiful Bengals and offering Bengal kittens for sale to new homes. 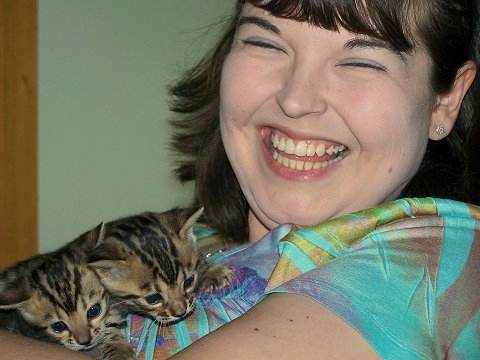 Then Susan can cut back on her hours at the Animal Clinic and enjoy more time with her animals and family. 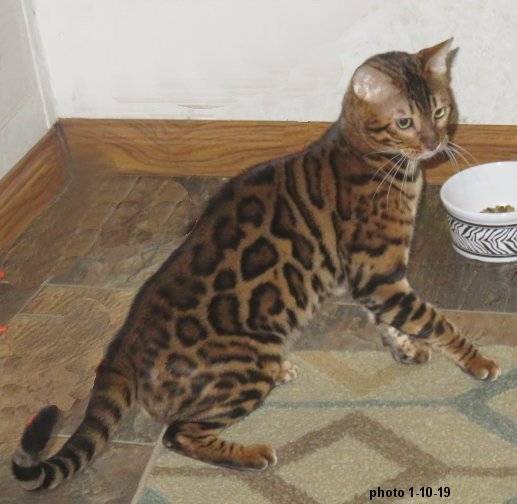 Q: Are Bengal Cats hypoallergenic? 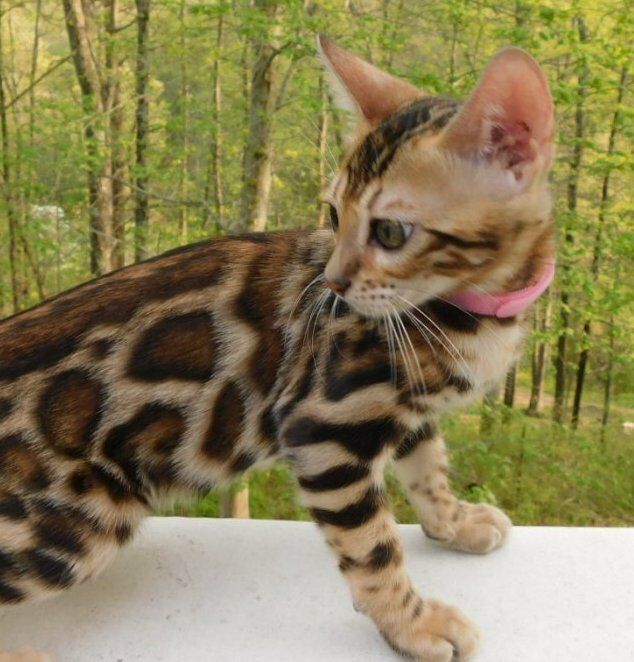 A: Yes, Bengals are among the most hypoallergenic cats for many reasons. 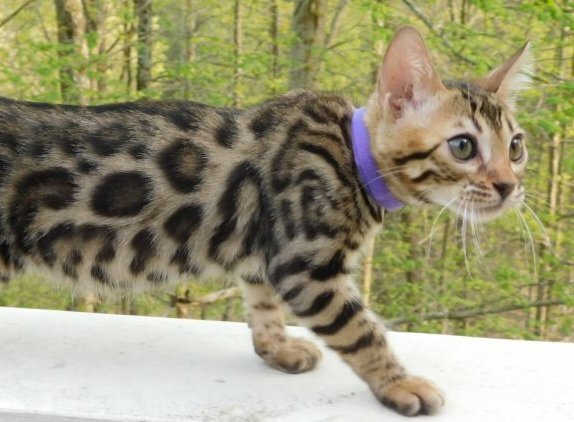 Most people who are allergic to cats have either no allergic reaction or only a milder reaction to Bengal cats. 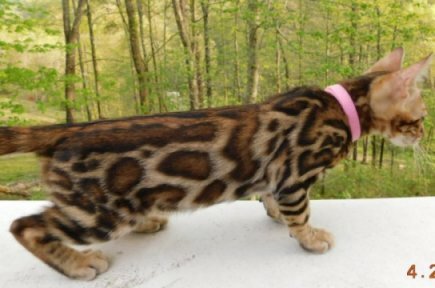 Bengals have zero to minimum shedding. 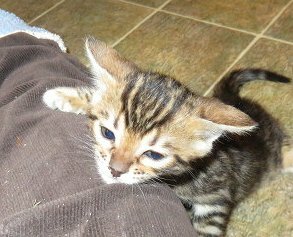 Q: Is it OK to spay a kitten? A: Yes, as long as she�s at least eight weeks of age and weighs at least two pounds. Pediatric spaying and neutering is widely accepted. Those ideas about needing to wait are really antiquated and the evidence is to the contrary. American Veterinary Medical Association supports early spaying and neutering. 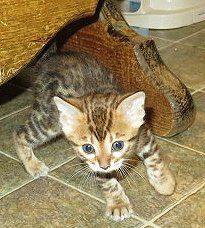 Trendar Bengal Kittens My kittens come with a full 2 year genetic health guarantee. All pets are spayed when you get them. No exceptions. They are handled every day from birth, making them very confident and 'kid proof'. Shipping fee includes airfare shipping crate food and water bowls, a supply of food that they are currently eating and health certificate. 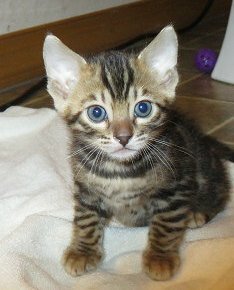 I encourage people to Pick up their kitten here in WV, contact me or www.Uship.com for door to door delivery. 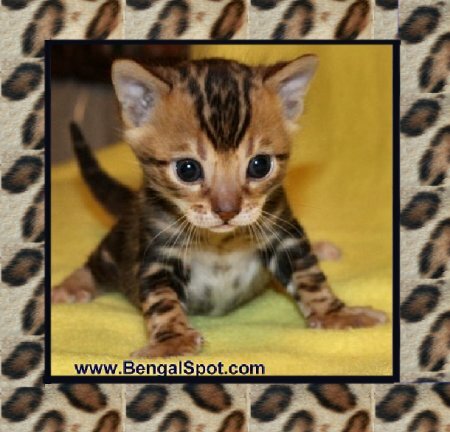 You are most welcome to pick up your new Bengal kitten at Trendar in Charleston, West Virginia. Hey there Holly. Any buns in the feline oven? of your babies to join the family. 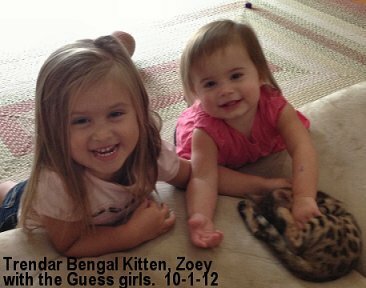 (born of Berta & Dreamweaver on 11/7/11). They are simply wonderful. thick as thieves � they just adore each other). Also, we want 2 more males. December 19, 2011, just in time for Christmas. Hoping for some fertile news!!! 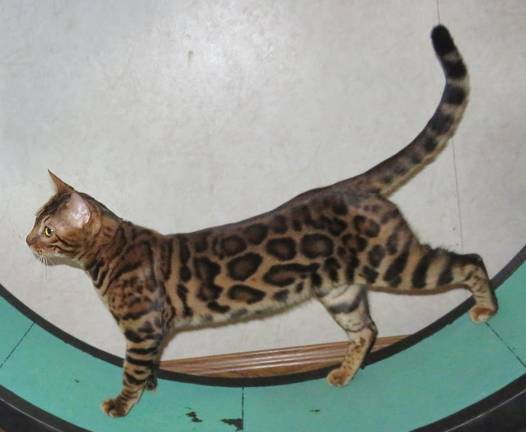 I have since purchased 3 more Bengals for breeding. None are as sweet as this Trendar Boy. 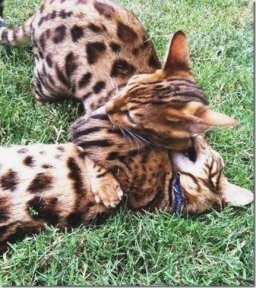 I just want to let you know that getting a second Bengal is one of the best decisions I have made lately. She is so sweet and funny. She cracks me up everyday with her mischief!! I am reaching out to you to express our sincere gratefulness for offering such a WONDERFUL cat into our lives. "Raja" is the Queen of the household. She is such a joy to be around -- extremely personable, loving and playful. 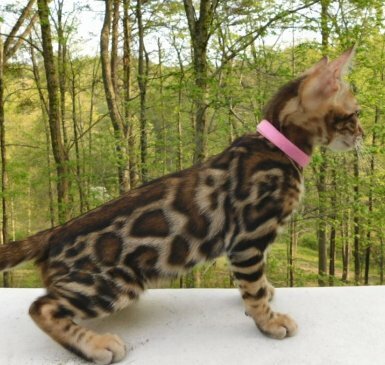 Everything that we could possibly hope for with a feline. 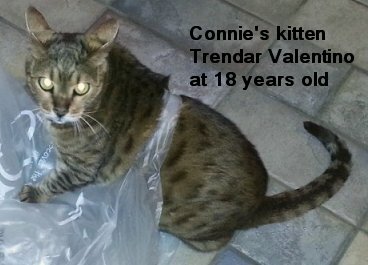 She is an amazing cat with our young girls, ages 2 and 4 and rules the roost over our dogs. We ensure respect all the way around! 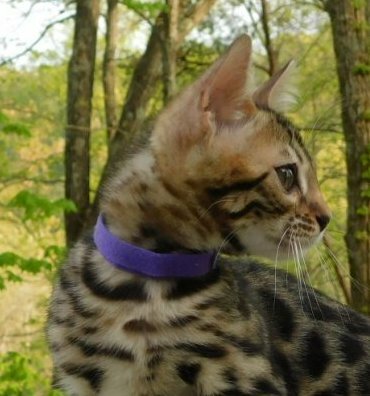 Raja's 8th birthday is coming up in April and I wanted to let you know how appreciative we are for receiving such a beautiful creature from you. YES Trendar kittens tolerated 'dressing up'. 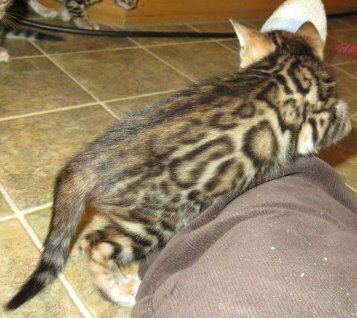 Here are the words I would use to describe our new Trendar kitten: VERY energetic for significant periods, completely fearless, strong, powerful, mischievous, extremely agile, a thief, tries to take whatever it is you have so she can run off with it. She will try to pick up anything. I have never seen anything like it. She is just gorgeous and would be very photogenic if she would hold still long enough to take a good picture. She has a new soft cat carrier that she really likes. She gets things from around the house and drags them in there. At the moment, she has a plastic spoon and a pot holder in there. She also likes to jump out of it. She is a Cat in the Box. One day I may wake up and find myself in there. She has brought a lot of fun and laughter into our home. In just a couple of days I have Trendar Aki bonded to me. (older cat) Edison is quite alright with it all. ....Aki is at my feet right now. He follows me every where I go. Holly, he is pure joy. 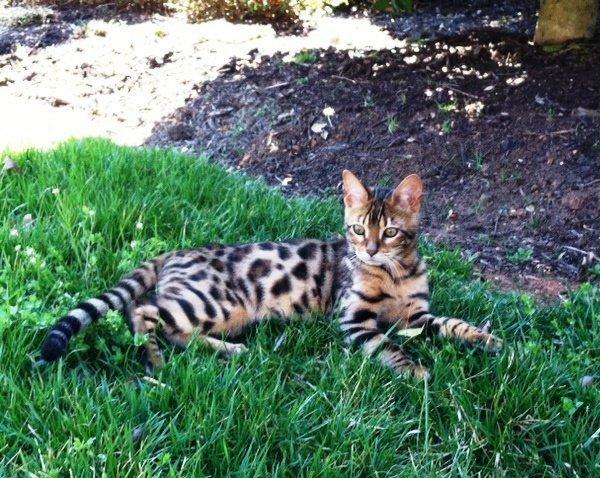 He is a REAL Bengal. He flies!!! He is so happy and healthy. He is just amazing, and I want to thank you for being out there breeding such precious little creatures. It was meant for me to find you. 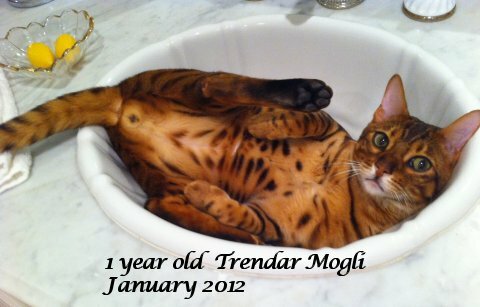 Mogli arrived and he is more than we could have hoped for. Within 5 min. he was purring and letting all of us hold him. It is obvious how much love he has been given, as he is so trusting of humans! Thank you so much. In 1996, several months after my cat of 20 years moved on to kitty heaven, my husband Kent brought home to me the most wonderful gift I have ever received. We named her Trendar Adage... She was born on March 24th, 1996... Now, nearly 16 years later, Adage, (nickname "monkey motion") continues to be total joy. ... I just had to email you to let you know that this cat is the love of my life and neither of us could love her more. She is getting older now but still plays like a kitten. She is the sweetest animal I have ever known. Thank you for all the years of love. I hope she stays with us for many more. I am including a photo of Adage and me here in Vegas this past December when we had a seldom seen snow storm. She played in the back yard in the snow and loved it. These two have bonded and play all day. Brady puts up with having the cat hang on his ears and tail and he loves his baby kitty. I have the greatest praise for how your breed and raise these wonderful, beautiful and intelligent cats. 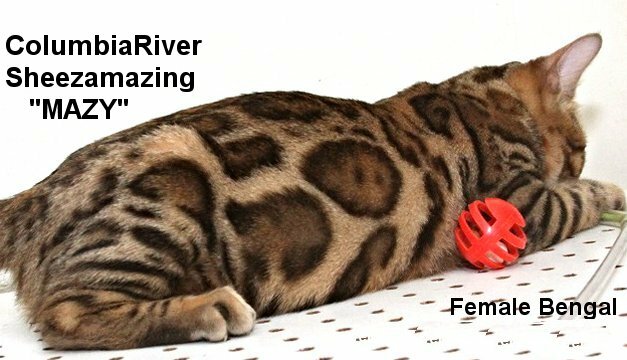 You have found the best traits and bred fantastic cats. 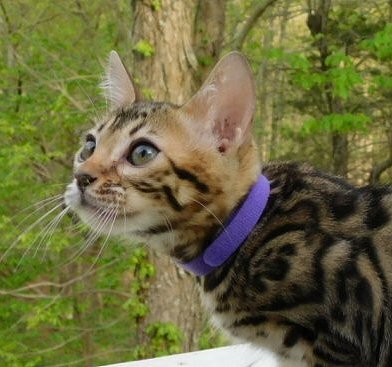 BB has the most expressive face I have ever seen in a cat and the best contrast in a Bengal. He plays fetch with me every day and never wants to quit. he goes by..... So funny. He has never had an accident!! this works for introducing new kittens to established cats too. Marilyn is a cat coach. She is EXCELLENT at helping solve all kinds of cat problems. PLEASE contact her for help in difficult situations. 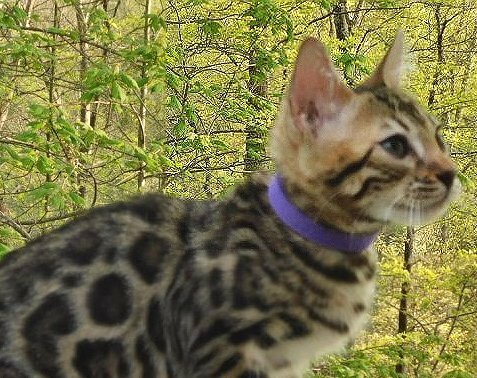 Inspected by TICA international judges to insure genetic strength, temperament and beauty are passed on to the kittens that I offer for sale as pets and for showing, and occasionally for breeding. 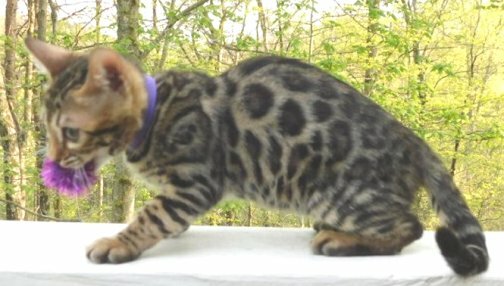 Trendar traditional and Spotlite silver Bengals are from well known Champion to Supreme Grand Champion bloodlines. 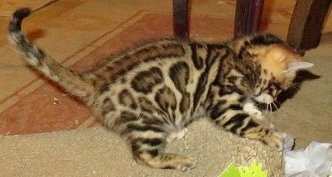 When you buy a pet Bengal kitten from Trendar it is spayed / neutered before you get them. Trendar kittens are healthy and happy. This I guarantee is writing with a signed contract. The kittens are just wonderful and are so great with the kids. Belkie, the male, loves to tear up a paper towel roll while Kira, the girl, stands by and watches him as if to say, "this can't be good, your gonna be in trouble for this!". They are sooo funny. They love it when the kids take a bath and will almost climb in with them but don't get quite there. 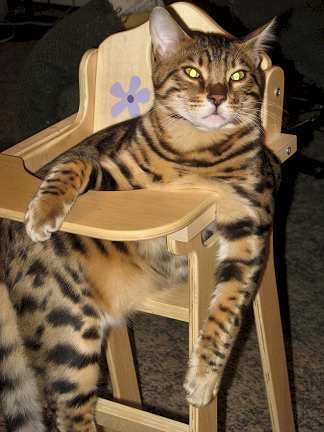 As you can see by the photo, Belkie likes to sit in my daughters doll highchair, it's quite comical! They are so good natured! They let my daughter put them in the stroller and the baby car carrier and they just sit there and go along for the ride. I also wanted to find out about your upcoming litters. 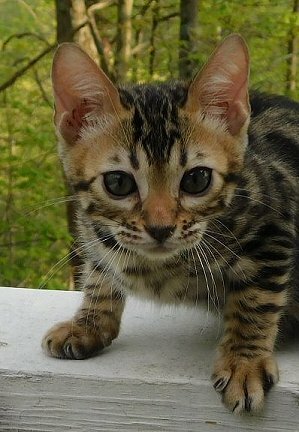 I have a friend who has just fallen in love with my two and would really like to have a Bengal. I will keep checking back at your web site. Thanks again for the most beautiful and wonderful babies!! 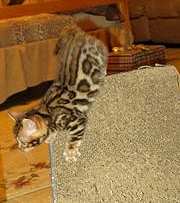 of knowledge and experience Raising, Breeding, Showing and Selling Bengal Kittens.